Charity auction success depends on expertise: knowing what to do to make the most of every opportunity and auction item. Arguably just as important is knowing what not to do, and that's what we're going to share today. 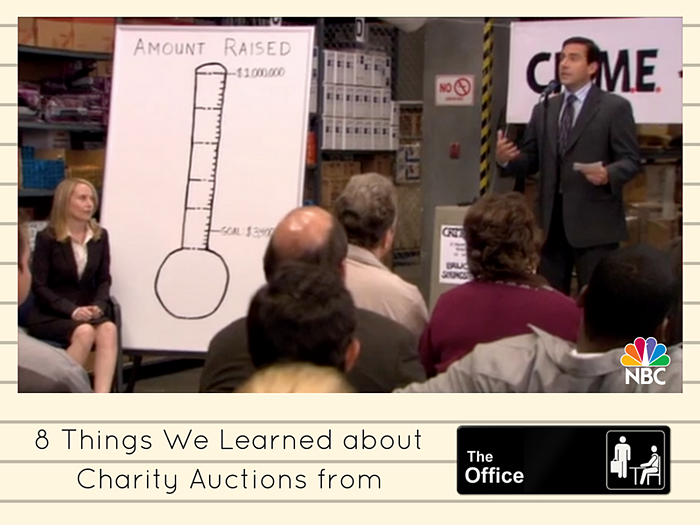 In season 5 of popular NBC sitcom The Office, boss Michael Scott decides to hold a charity auction (called C.R.I.M.E. A.I.D. *) to replace stolen items after a break-in. See if you can spot auction best practices and mistakes - mostly mistakes - we found in the episode. *stands for "Crime Reduces Innocence, Makes Everyone Angry, I Declare"
1. Hire a professional benefit auctioneer. Michael's auctioneering skills quickly reveal themselves to be less than ideal for fundraising purposes. Not only does he open bidding on Holly's yoga lessons at an ambitious $300, his auctioneer chant quickly devolves into 'Hey, batter batter,' and incoherent gibberish. While benefit auctioneers do employ fast-paced chants, they focus on creating an entertaining show that extracts donations at the same time. 2. Use visual aids and bid paddles. In the clip, we see Holly very slowly filling in a thermometer tracking their progress to the goal. We also see a few bidders with paddles - however, they're ping pong paddles! You're likely better served using paddles or bid cards with numbers on them. 3. Tap into people's travel budgets. Company CFO David Wallace drives in from corporate to offer a weekend stay at his vacation home in Martha's Vineyard. This is the first item that really gets people's attention and kicks off significant bidding, a testament to travel's popularity year round. Surveys show 83 percent of winning bidders are budgeting $5,000 or more for travel each year. Why not tap into annual travel budgets by offering exciting travel packages in your auction? 4. Be prepared for spontaneous opportunities. Wallace's donation is reminiscent of Wild Card auctions—an instant procurement technique that drums up excitement and thousands of dollars in donations, out of thin air. All you need is a stack of notecards and the willingness to try something new. 5. Focus on high quality items. A weekend at Martha's Vineyard and Bruce Springsteen tickets is the right idea for a live auction. Unfortunately, Michael also offers up dance lessons from Kelly, taxes from Kevin (federal and state), yoga lessons from Holly, an all-inclusive 'Creed' package... Time and again, bidders have shown they prefer buying fun, unique and high value packages rather than hum-drum services they would normally obtain by themselves. 6. Come through with big-ticket packages. The major draw of the entire auction is not only Bruce Springsteen front row tickets, but backstage passes to meet The Boss himself. Who wouldn't want the chance to win this incredible item?! However, in true Michael Scott fashion...the tickets do not materialize. It looks silly, but all too often 'pledged' auction items can fall through: think a board member's condo undergoing emergency renovations, or unfulfilled tickets purchased from a third party seller. Your donors may not be as willing to shrug it off. Make sure you can fulfill every auction item, especially top-dollar trips and experiences, to your winning bidders' utmost satisfaction. Looking to safely add 'WOW' factor to your auction? Partnering with an experienced travel provider like Winspire allows you to offer buzzworthy packages that we fulfill with the white glove service donors expect. Best of all, these packages are reserved with no risk or upfront cost; you pay nothing if the items don't sell. 7. Focus on perceived value, not actual value. The auction item that ends up raising the most money is one of Phyllis' hugs. This is a good reminder that auction success is just as much about tailoring items to your audience, as it is the item value itself. 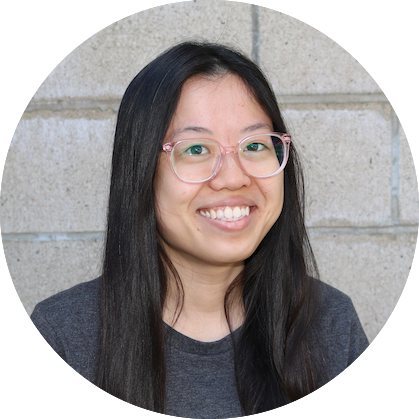 To find out what items would pique your guests' interest, try surveying attendees or major donors. Phyllis' hug erupts a bidding war between Bob Vance of Vance Refrigeration and salesman Dwight Schrute. Bidding steadily rises from $100 to $700.01 to $1,000. This is the heaviest revenue hitter of the night, but the auction would have pulled in even more money if Phyllis had offered to donate two hugs at $700.01 apiece ($1,400.02 total) versus just one hug at $1,000. Ask your auctioneer if they have experience looking for multiple bidding opportunities; keep in mind no-risk items (like Winspire packages) can also be sold virtually limitless times. Just be sure to use this technique sparingly, only a couple times and not for every item. That's it! We hope you'll take your live auction cues from Dunder-Mifflin—that is, what not to do—to raise as much as possible in your next auction. Were there any auction best practices and no-no's we missed? Please share in the comments below.